In a secret fold of Zambia, tucked away between the well-trodden tourist tracks and the wild open spaces, lies the Mushitu Forrest, home to the largest concentration of migrating mammals on the planet. 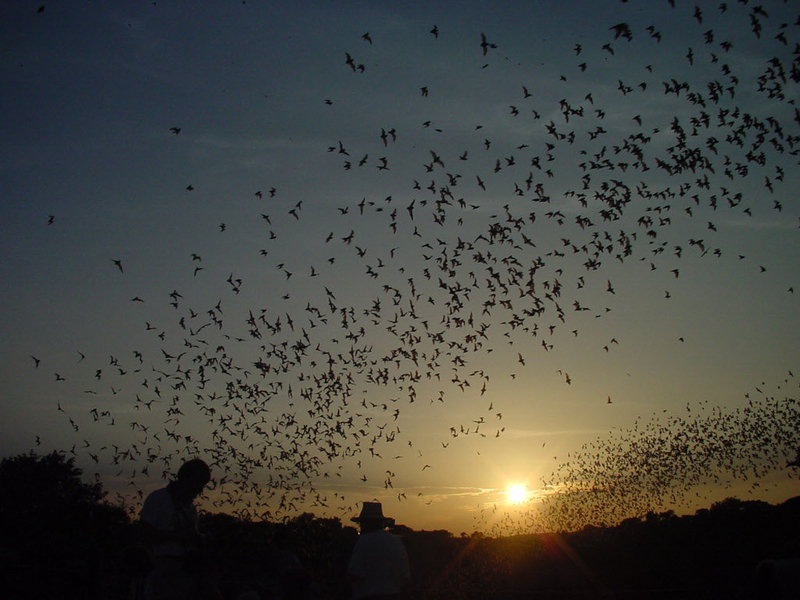 Each year, around the 22nd October, 8 million straw-coloured fruit bats make their way to a single hectare of the Kasanka National Park. Pale faced, with tawny fur and a bright orange back, the fruit bats arrive from all over africa to feast on the ripening musuku fruits. Trees strain under the weight as these gentle creatures lay slung through the leaves in their upside down worlds. 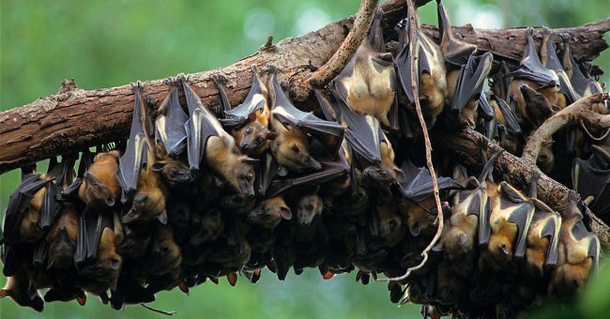 Entire colonies hang from the branches by soft padded feet, sleeping, grooming, mating, waiting for the sun to dip over the horizon in a frenzy of bat song and commotion. At dusk, scouts are sent to source the best fruits, and one by one 8 million little flying foxes take to the skies, nearly five times the numbers of migrating herds found on the plains of the Serengeti! It is not only the bats that gorge themselves on abundant food. Owls, crocodiles, eagles and pythons lie in wait, lazily picking their meals from a bat buffet, leaving nothing left to waste. Easily reachable from Lusaka, a mere 5 hours from the Copperbelt, Kasanka National Park offers wildlife lovers the opportunity to witness a natural spectacle far from the beaten track, in a world quite unlike any other. It is a flying masterpiece, and a once in a lifetime experience.